Google has its own search quality raters, but it doesn't hurt asking regular users to improve search results. 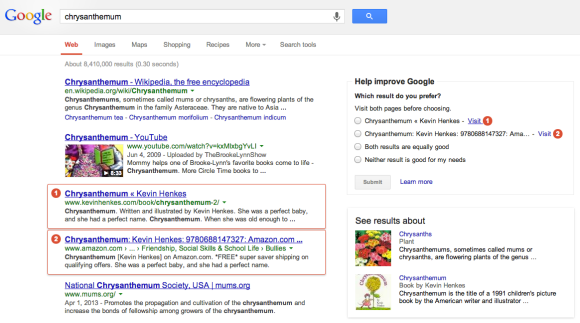 A recent Google experiment highlights 2 search results and asks users which one is better. Users don't have the read the search quality guidelines first, they only need to visit the 2 pages and tell Google which one they prefer. There are 4 choices: the first result, the second result, both results are equally good, neither result is good enough. One of the 2 results was the Amazon page for a book and it already had a high ranking. The second result was the book's homepage, which had a lower ranking, but was placed above the Amazon result for this experiment. Google probably wanted to check if the Amazon result was indeed better.